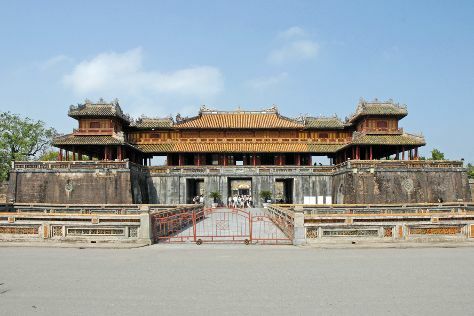 On the 19th (Tue), steep yourself in history at Tomb of Tu Duc, contemplate the long history of Tomb of Minh Mang, admire the landmark architecture of Thien Mu Pagoda, then take in the views from Truong Tien Bridge, and finally steep yourself in history at Hue Imperial City (The Citadel). For photos, more things to do, reviews, and other tourist information, refer to the Hue sightseeing planner. If you are flying in from Canada, the closest major airport is Da Nang International Airport. Expect a daytime high around 27°C in December, and nighttime lows around 22°C. Wrap up your sightseeing on the 19th (Tue) to allow time to travel back home.